The 63 Building is a Seoul landmark. When it was built, the skyscraper was the tallest building in South Korea and the tallest outside of North America. Those distinctions are long gone, but the 63 Building remains an icon. The tower is quite recognizable due to its golden exterior. 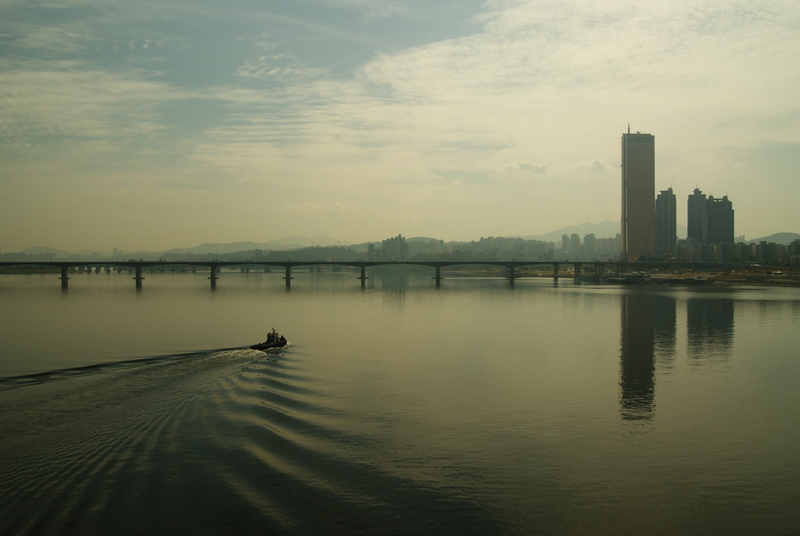 Although that color does not come through in this photograph, the building serves as a nice backdrop for a peaceful day on the Han River. I’ve really wanted to get some night shots of Seoul for quite some time now. I finally got around to doing it the other night while inside Seoul’s landmark 63 Building. I wanted to play around with some long exposures and the 63 Building offered some spectacular views of Seoul at night. It seemed like a good place to give it a “shot”. Although the location from which I was taking the pictures wasn’t ideal, (finding places with minimal glare from interior lighting in conjunction with relatively clean glass proved to be a challenge) I feel like I got a couple decent ones. 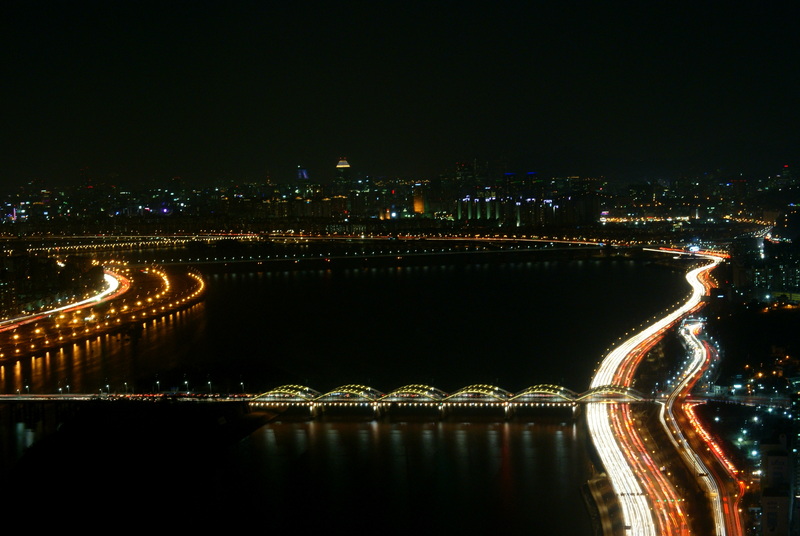 If anything, taking pictures of Seoul at night only partially satisfied my previously stated desire to do so. I hope to get back out there soon and further explore this city through my camera lens – at night.